Earlier this week LG Electronics announced their financial results for Q4 2015, and the company stated it saw improved OLED TV sales in the quarter. During the company's English conference call, Hee Yeon Kim, LGD's Head of IR Division, said that LGD shipped around 400,000 OLED TV panels in 2015, out of which 50% were sold in Q4. In 2016 the company aims to ship 1 million panels - 40% of which will by 65% in size. 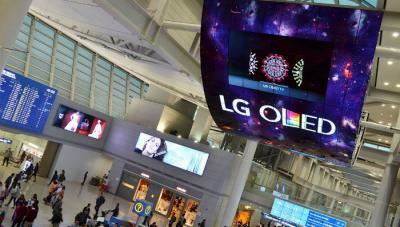 LGD also announced that it will invest $380 million to expand its OLED TV production capacity. LGD will convert an existing LCD production line to OLED production and the line will be completed by Q2 2017. LGD now stated that the new line will have a monthly capacity of 25,000 substrates. LGD's current OLED TV production capacity is 35,000 Gen-8 substrates. This means that the new line will almost double the company's capacity. And of course LGD also plans more OLED production expansion - in August 2015 it announced plans to invest around $8.5 billion in OLED capacity in the next three years as the company shifts its focus to OLED displays. Later in November LGD announced that it will build a new OLED display plant in Paju, Korea. The P10 fab will mainly make large-size OLED TV panels and flexible OLED panels. The total investment in the P10 plant is estimated at KRW10 trillion ($8.7 billion USD). Although I noticed "units shipped" in the article. Which of course isn't necessarily the same as "units sold".